Why Hire an Ad Agency? some points made by Gary Dahl that may help you decide. – Phone calls from media sales reps are taking up too much of your time. – You no longer have the time, or the energy, to write and produce your advertising yourself. – Creating and placing your advertising on a regular basis has become a job in itself. – Your own creative efforts aren’t yielding the results you desire. – You don’t know whether you’re spending your advertising budget as wisely as you could be. – The bookkeeping process for media invoices has become too complicated and timeconsuming. – You finally admit that media invoices are written in a secret code that you’ll never decipher. – You’re eager to have creative professionals generate fresh, new ideas for your advertising. – You want to do co-op advertising but don’t want to deal with the co-op hassle. 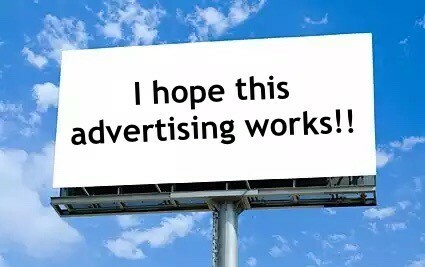 You don’t need an advertising budget in the millions of dollars.